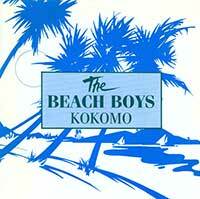 Beach Boys – Kokomo – Official Music Video. The single was released in 1988. It’s featured on the soundtrack to the film Cocktail (Tom Cruise, Bryan Brown, Elisabeth Shue). The song was nominated for the Grammy Award for Best Song Written Specifically for a Motion Picture or Television in 1988, but lost to “Two Hearts” by Phil Collins. “Kokomo” single hit number 1 spot on the Billboard Hot 100 Chart in the United States and Australia and reached number 10 on the singles charts in many other countries .